There’s no way to bookmark a page manually—the webtext does it for you. When you return to the webtext, you will automatically be taken back to the last page you visited. 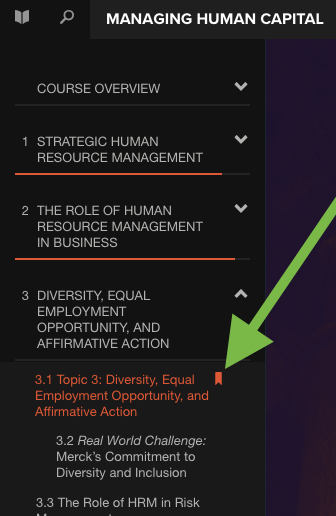 The Table of Contents will open, displaying a small bookmark icon next to the page you’re currently on. This can help remind you of where you are and where to go next. You can also use the note-taking tool to create something like a bookmark. 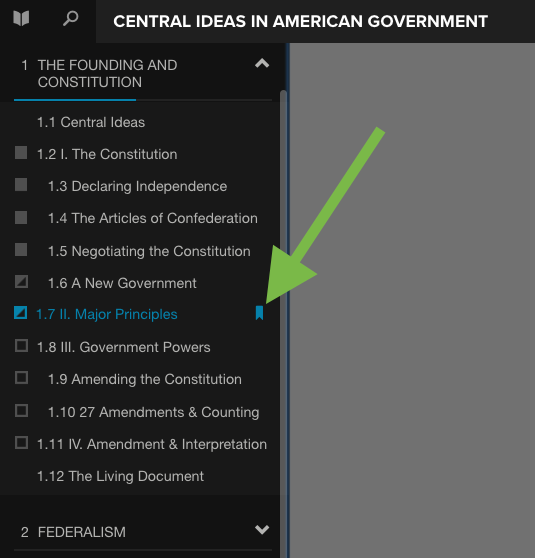 Select the text anywhere on the page, and the notes field will open on the right-hand side. You can then type “bookmark” or any keyword you choose. When you visit the section of the Tools Menu called “My Notes” (click the button in the upper right), you can see all of your notes at once and return easily to any page that contains a note.